If you are passionate about photography, then you will have experienced the joy that comes from taking your time over setting up a shot and getting a result that matches or exceeds your expectations. This second edition of 50 Photo Projects provides a completely new set of techniques that aim to test your skills shooting subjects you may not have tried before, with the result that you capture brilliant images. All 50 of our projects have been written in jargon-free language. There are varying themes and great tutorials to follow, providing you with inspiration to take stunning images time and time again. 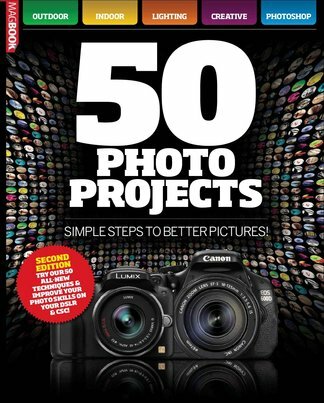 Be the first person to tell us what you think about 50 Photo Projects Vol 2 and you'll save $5 on your next purchase!